Since Axxsys began back in 2003, we’ve grown our knowledge of the investment management industry to encompass all its aspects, with particular focus on technology solutions and their respective vendors. We’ve harnessed that knowledge to develop the Axxsys Axxelerator™ Platform, a unique offering in the market that truly sets Axxsys apart. 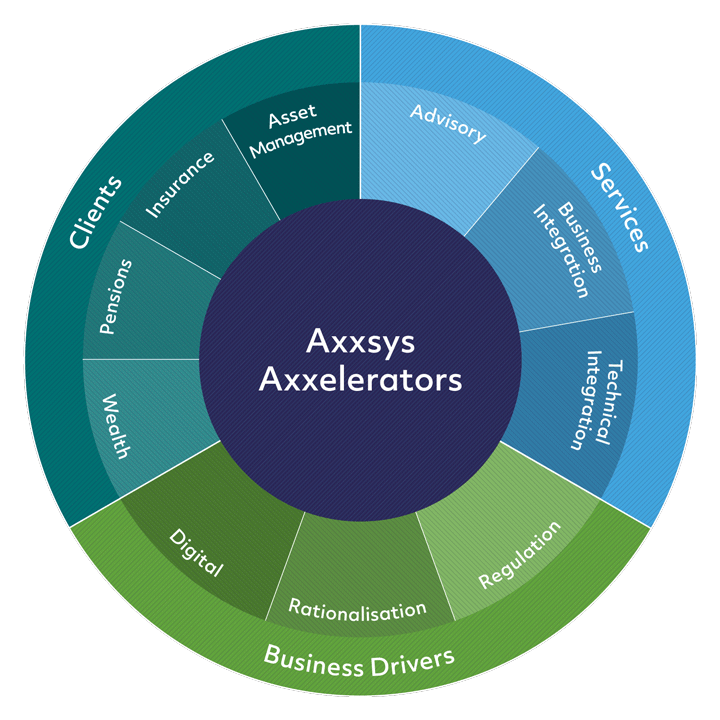 Axxsys Axxelerators™ offer clients “pre-packaged” (70/30) modules designed to fast-track the development of Target Operating Models, Business Processes & Analysis, Standard Technology Package Implementations and Project Delivery Frameworks. Our goal is to offer the solution you require in a tailored and self-contained way, with a clearly defined objective, approach and delivery. For each service, a pre-defined model is developed, built around an appropriate selection of Axxsys Axxelerators™, such as engagement guidelines, approach, templates, plans and service specific tools.